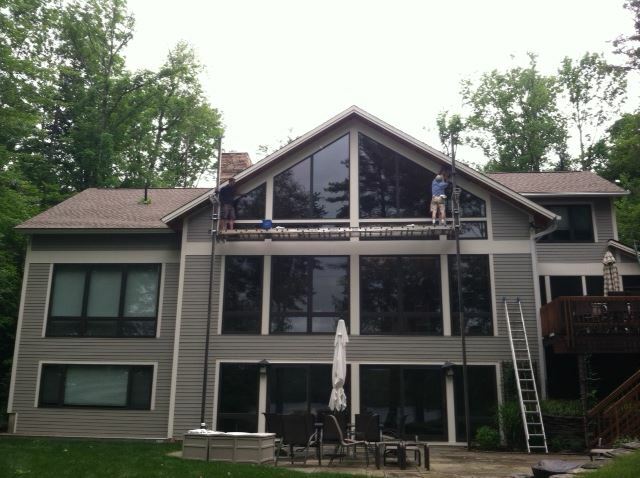 Wes, one of our lead carpenters, has had a summer window cleaning business on the side for many years. He has a stable of happy, loyal customers, a stable that is getting larger every year. Until this summer, Wes has scheduled his window cleaning jobs around his full-time work at Decumanus Green. But our schedule has gotten much more full this summer, and scheduling side window jobs was becoming more problematic both for Wes and for Decumanus. 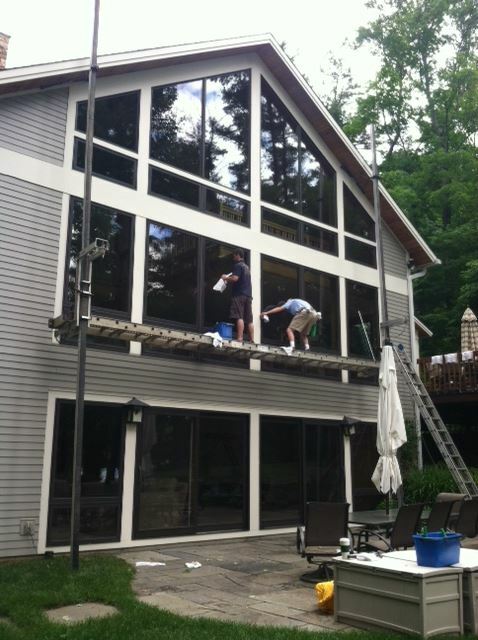 After some back and forth negotiations, we decided to fully integrate Wes’ window cleaning business into the other services that we provide. This should make scheduling much less complicated. It will also allow Wes to draw on some of the labor force of Decumanus for some of his larger jobs. He will also be relieved of all the back office work associated with his window cleaning business, as that will all be handled by Decumanus. Window cleaning still fits well within the fundamental mission of Decumanus, part of which is to provide and maintain welcoming and pleasing dwellings for our clients. It also helps to expand our “enterprise” business model, a model that embraces different but complementary services. This is a particularly effective business model here in the Berkshires where there are extreme swings in the business cycle, some seasonal and some random. Having the capacity to provide a range of services helps dampen the effects of the extreme swings.